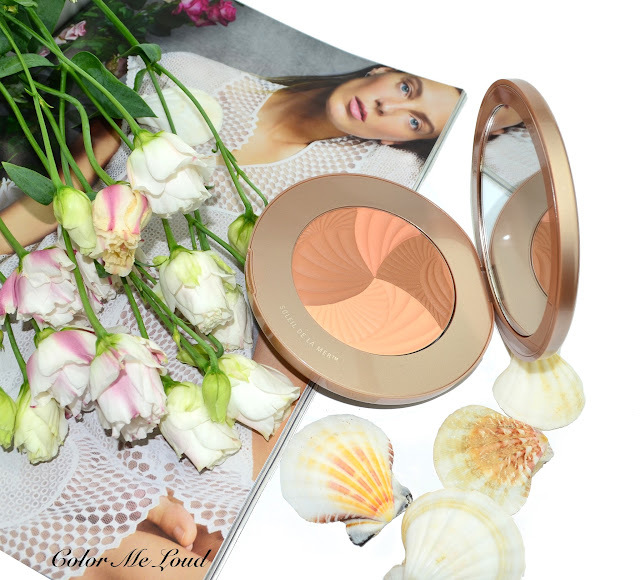 Soleil de La Mer The Bronzing Powder comes in a taupe metallic round compact which feels hefty and luxurious. The closure is magnetic (yay!) and appears to be very safe. The compact is not too large, nor too small. I think it makes a lovely addition to any purse. Considering it comes with an impressive 15 g of product, I think the compact is designed in the best way. The powder is embossed in sea shell pattern. All in all the design of the compact and the powder looks a modern, chic and feminine. Powder is divided into four parts although the upper and the bottom part have the same shade. I don't think I would pick up individual shades but I still make use of different shades by sweeping my brush either to the right to use it more like an over all powder, in the middle to use it as a bronzer or left to use it more like a blush on the cheeks. The quality of the powder is truly spectacular. I don't know any other powder which is so finely milled, so silky, yet doesn't kick any powder and can be picked up with brush so easily. 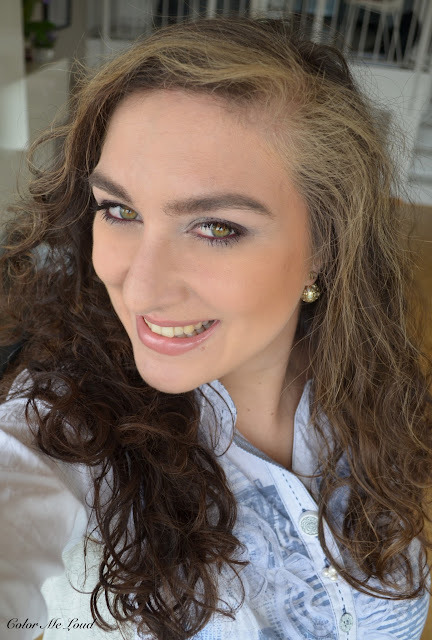 I have previously tried their Illuminating Powder (reviewed here) and I was very impressed back then too. The pattern, although it doesn't appear to be very robust, lasts long too. After a weak of straight use, it is still almost intact. This is definitely very hard to achieve and I know some of Chanel's powders got too stiff while trying to preserve the design, but Soleil de La Mer The Bronzing Powder achieves it flawlessly. The shade is more on the warm and golden side. 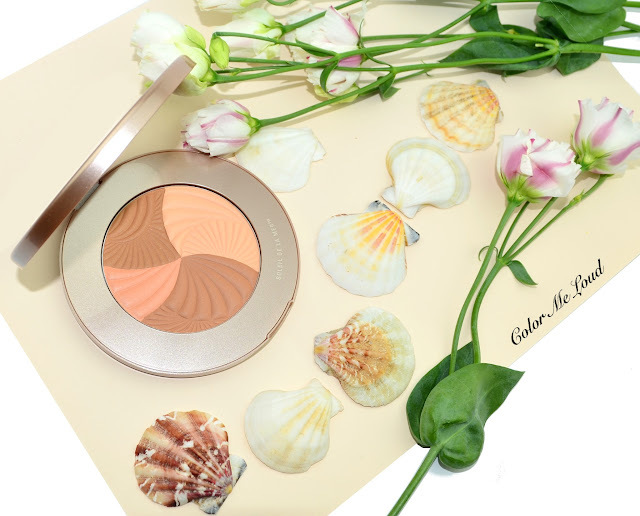 I wished that it would be a little cooler but seeing the other products below, to which I would compare Soleil de La Mer The Bronzing Powder to, it is not all that warm after all. To me this is a cross between bronzer and Bonne Mine powder, closer to Bonne Mine for my skin tone but I can see that it would work as a bronzer if you are lighter than me. The intensity is around Chanel Les Beiges #30 and Guerlain Joli Teint 03 Natural Brunettes (reviewed here). Both of these Bonne Mine powders from Guerlain and Chanel are priced lower although Guerlain offers only 10 g and Chanel 12 g of product as opposed to La Mer having 15 g. Soleil de La Mer The Bronzing Powder costs around 75€ in Germany which makes it at the same price as Guerlain per grams of product. As for the texture, La Mer is definitely superior to both. Some might disagree with me but I am not loving Chanel Les Beiges texture. I find it to be too sheer for my taste. Guerlain Joli Teint is nice but considering the quality and the compact you are getting with La Mer's Bronzing powder, it is hard to justify Guerlaib Joli Teint. This particular shade (#3) is very off on me because of the peachy undertones so I prefer the golden undertones of La Mer too. Here is one of the FOTDs from last week when my eyes were swollen in the morning, but try to ignore it. You can see that on my cheeks to my temple I applied Soleil de La Mer The Bronzing Powder. It warms up the face nicely. After checking out the photos, I thought I should have applied it to my forehead a little too for the integrity. I like cooler bronzers but since this is light, I like using it more generously on the face. The lasting powder is great as well. It lasts almost all day on me without touch ups. 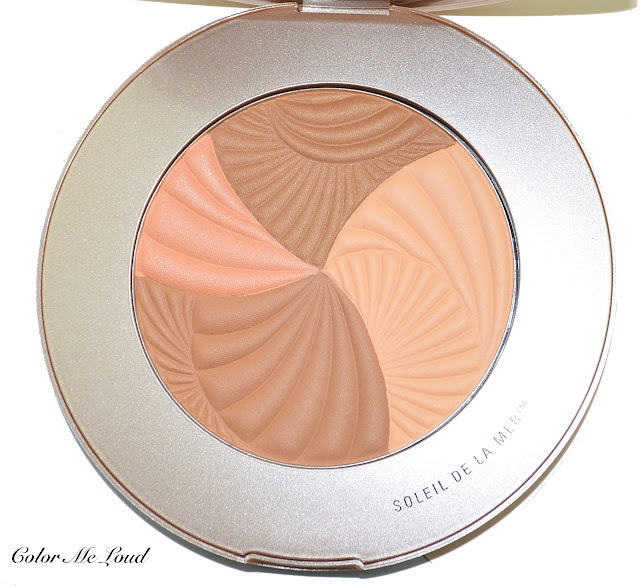 Final thoughts: Soleil de La Mer The Bronzing Powder is a cross between Bonne Mine and Bronzer powders on my NC20 skin tone. The undertones are more golden, which nicely warms up the skin once used generously over the face other than only under the cheekbones to contour. A wonderful design, an impressive texture and the price is along with the other Bonne Mine powders since you are getting 15 g of product in there. You should definitely check it out if you are fair and have warm undertones. 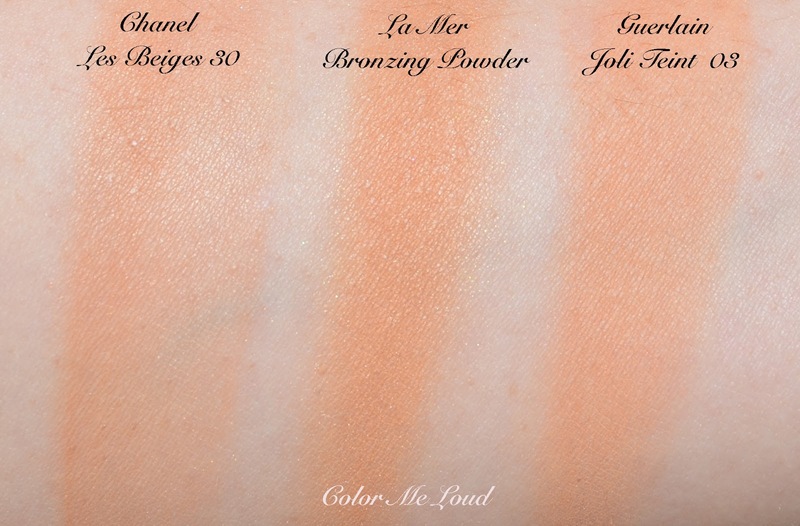 Do you use Bonne Mine powders or you are in for more drama with your bronzer? That is really interesting, what kind of coloring does your friend have? This is so finely milled, a pleasure to apply really. I wished it would be a tad deeper and a little cooler but then it wouldn't work all over the face as it does now. Very pretty on. A really helpful review! I'm fair with neutral undertones. I've just purchased this beauty, more attracted by the light powders and by the texture rather than the bronzer themselves :) . I've planned to use it on my t-zone, because I this if is too orange to be used as a light countour. Hope I'll like it. Thanks for your review!! !